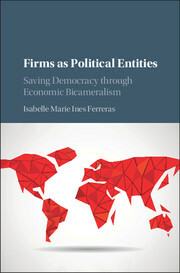 In recent years, there has been a revival of discussions about democracy in the enterprise, not only out of a frustration about the powerlessness of the external political control of firms, but also based on hopes connected to new technologies, for example instant messaging systems, that could lower the costs of participatory decision making. What is the potential for democratic participation that the digitalization of workplaces could, in theory, have, and how can this positive potential be tapped by suitable regulations and incentives? In this workshop, we will explore various arguments (e.g. epistemic or human rights-based arguments) for and against workplace democracy. We will discuss what kinds of institutions enterprises are or could be, how they could be successfully democratized, and what further theoretical or practical research is needed to better understand the potential of democracy in the enterprise.